At least 18 people have been killed and over 90 more injured in an ammunitions depot blast in the Iraqi capital Baghdad. 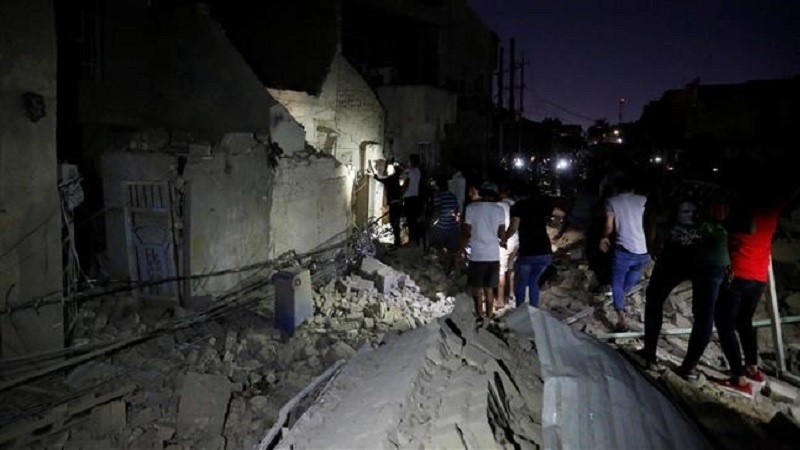 According to Press TV, an Iraqi police source said on Wednesday night the incident took place in Baghdad’s Sadr City district, while ammunitions stored near a local mosque were being transferred to a car park. “An arms depot exploded… The security forces have opened an inquiry to determine the cause,” said a military source. On May 16, at least eight people lost their lives and dozens more sustained injuries when a powerful bomb blast ripped through a funeral near the Iraqi capital city of Baghdad. There was no immediate claim of responsibility for the deadly attack, but such assaults bear the hallmarks of those carried out by remnants of the Takfiri Daesh terrorist group.